The fastest growing segment of the US solar industry in 2017 was community solar. According to a Rocky Mountain Institute (RMI) report based on cooperative procurement in Colorado, New Mexico and Texas, community solar gardens are large enough (0.5Mw to 5MW) to deliver low cost, but small enough to interconnect to utility distribution systems without disrupting the grid. With a 40% drop in levelized cost of energy (LCOE) in the last two years, community solar electricity now sits at $50 per MWH. The largest community solar garden in the country is in Minneapolis, where 40 gardens deliver more than 100MW to residents of the city. Authorized by the State legislature in late 2014, the program grew six fold in 2017 and now powers about 32,000 homes. Administered by Xcel, the State’s largest utility, the solar gardens project is expected to grow by another 69 projects this year alone, adding 240 MW of generation capacity. Xcel has 180 solar gardens projects in its pipeline totaling 475MW. Community solar describes any solar installation that benefits more than one independent customer. These programs are focused on residential customers who generate power through group-funded installations; they require no roof access, avoid zoning restrictions, avoid homeowner associations constraints, and avoid shading limitations (trees, buildings, terrain). One system feeds clean power to all the participants. Every state has different legislation to regulate community solar. Colorado, New York, Arizona, Oregon lead in the total number community solar projects commissioned. 32 States now offer Community Solar; still, demand outpaces regulatory processes. California, an early leader in the sector, is lagging, stymied by regulations and rulings imposed by the CPUC. SB 43, the legislative instrument that established the creation of the Green Tariff Shared Renewables Program which defined the Enhanced Community Renewables (ECR) program, aimed for 600MW of renewable energy to be procured by the investor owned utilities (IOU). It was effectively neutered by the maneuvering of the three largest IOU’s in the state (PG&E, SCE, SDG&E). SB 43 mandated that programs must “provide significant financial, health, environmental, and workforce benefits to the State of California.” But the Commission failed to recognize any value to these externalities, resulting in the value of renewables credit to be set much lower than in most states and too low for developers to make a profit. The Utility Commission, following the advice of investor owned utility companies, set the credit which private solar developers receive for the electricity they generate at wholesale value, one third the price the utility companies currently charge their own customers. 7-9 cents per kWh versus 22-25 cents average for PG&E, for example. Other restrictions and fees imposed guaranteed the program would be DOA. The first ECR program request for offer (RFO) was released August 2016, with awards planned for allocation in March 2017. No PPA was awarded. All bids failed to meet the eligibility criteria. The removal of the program sunset date in January 2019 by SB 793 makes it even less likely improvements can be made in the near term. To allow the planned 600MW of renewable energy to be developed, and the mandate of SB43 to be achieved, the California Public Utility Commission will have to upgrade the value of the credit granted for each kWh generated by community solar programs, to its market value. A notion anathema to regulated monopolies. The electricity crisis of 2000-2001 illustrated the consequence of deregulating the energy market; the California IOU’s will have to be convinced it is in their interest to test new business models with developers of community solar gardens. 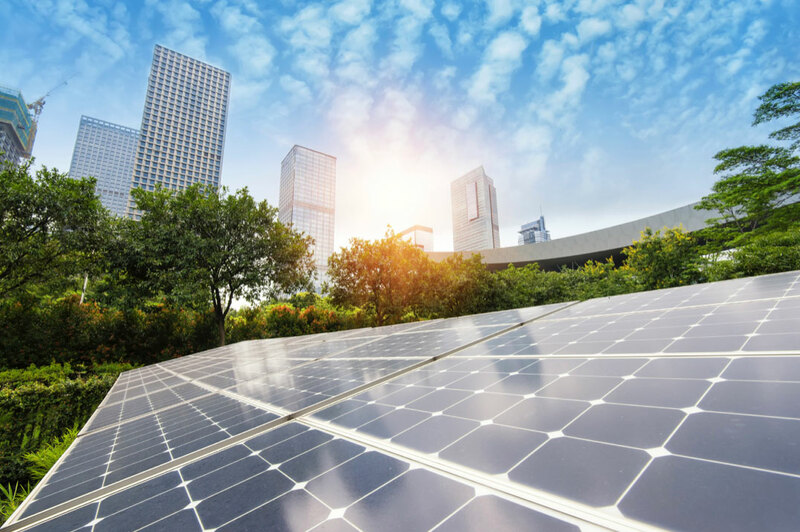 A notion they may now begin to consider as storage technology and utility scale design are progressing to make solar a flexible resource that can enhance grid reliability even if it leads to more curtailment during low load days. Source: Advances in Utility-Scale Plants; Key lessons learned.